Home » News » Walking Dead First Look: Daryl and Merle Prepare for War! Walking Dead First Look: Daryl and Merle Prepare for War! 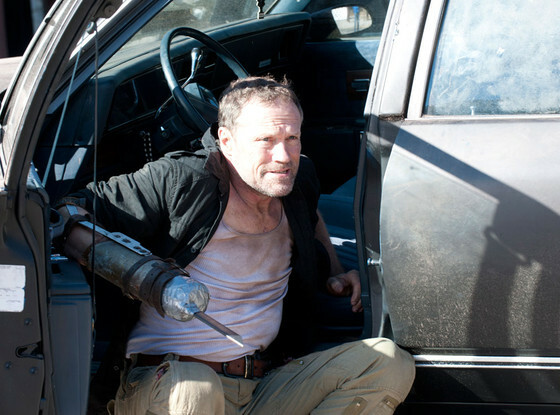 In this exclusive first look at Sunday’s episode of The Walking Dead, titled “The Sorrowful Life,” Daryl (Norman Reedus) and Merle (Michael Rooker) look more than a little preoccupied. The brothers have spent most of the season at odds, and with Merle feeling alienated within the prison and Daryl torn between his prison family and his actual family, it’s not long before things get real between the two… READ MORE. Michael Rooker and Addy Miller stopped by the FM 99 during Blood on the beach this morning.